Earlier this year the P&J revealed record figures had been announced for Moray, with the area enjoying something of a tourist boom. It was thought even more people would flock there following the creation of the North East 250 driving route – a self-driving route which takes in all the glory of Aberdeenshire and Moray, from the picturesque tranquillity of Royal Deeside to some of the most beautiful coastline on the north-east of Scotland. 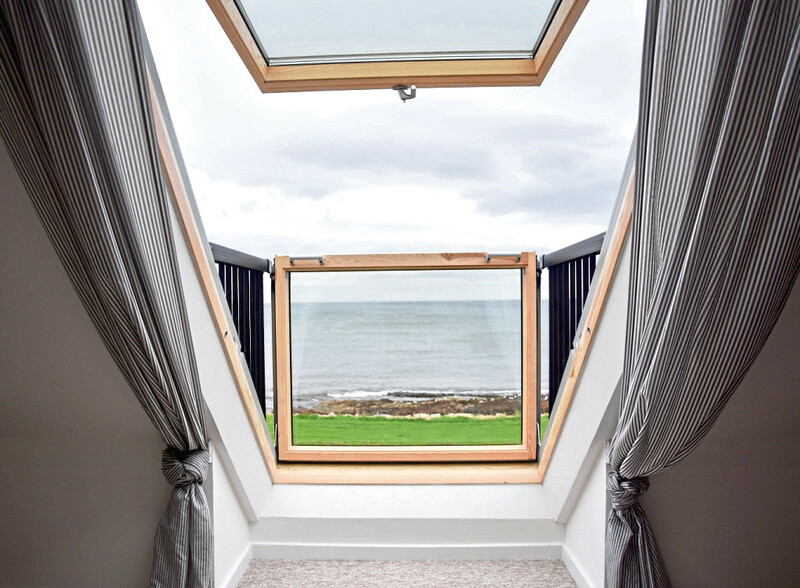 Perhaps, like the hugely successful North Coast 500 route which has become world-famous, villages, towns and cities along this new route will find themselves in great demand with people looking for a place to stay while enjoying the trip. 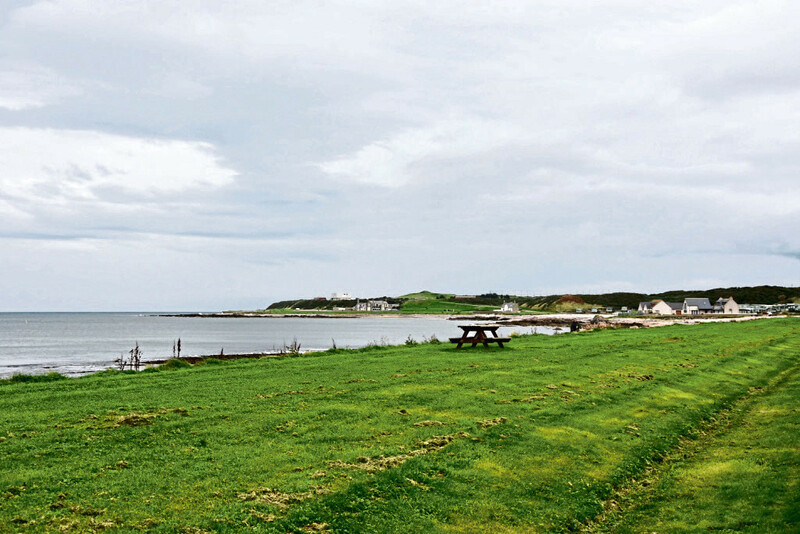 The former fishing village of Portessie, which sits between Buckie and Findochty and is on the North East 250 route, is where you’ll find a charming seaside semi-detached house that would perhaps make an ideal first-time buy for someone, or could be bought and used as a letting property or holiday home. 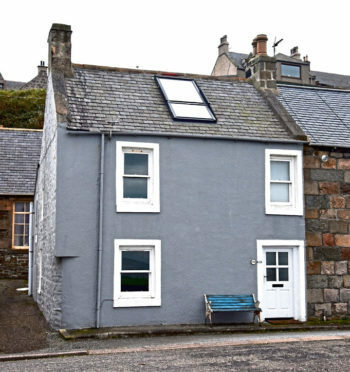 Number 34 Great Eastern Road, Portessie, is on the market at offers around £90,000, is situated on the sea front and in a popular residential area of the village and enjoys fine unspoilt views. Although an older property, the interior is new and fresh, so it’s ready to welcome in new owners. The accommodation begins with an entrance hall which gives access to a spacious lounge that’s nice and bright thanks to windows to the front and side. From here, there’s a door to an inner hall which gives access to the kitchen, stairs to the first floor and a rear court yard. 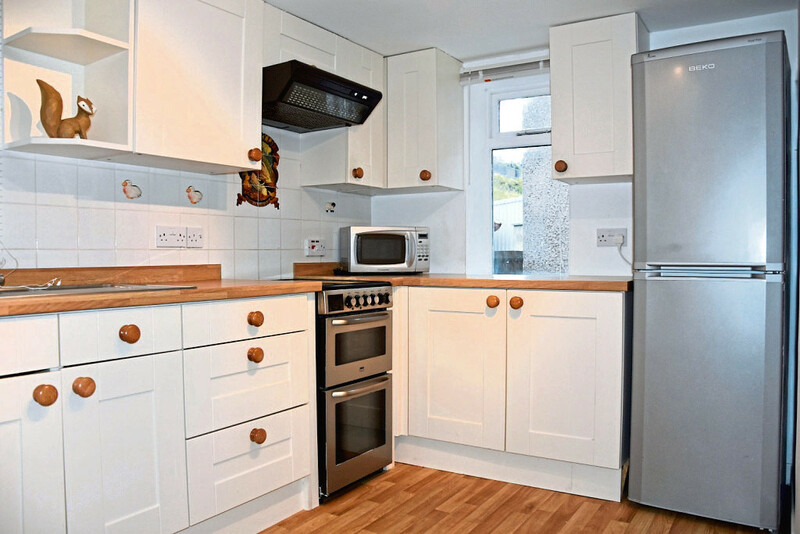 There’s a fully-fitted kitchen with base and wall units and space for a washing machine and fridge freezer, while the rear hall has a cupboard with space for a tumble dryer. A three-piece bathroom with over-bath shower completes the ground floor accommodation. Moving upstairs there’s a good-sized double bedroom with dual aspect windows to the front and side and a second bedroom/attic which is a lovely bright room with a front-facing balcony offering superb views across the sea front. Outside, the rear garden is pretty low maintenance as it’s largely grass with some mature shrubs and a wooden shed. Contact: Peterkins, Huntly on 01466 799352.